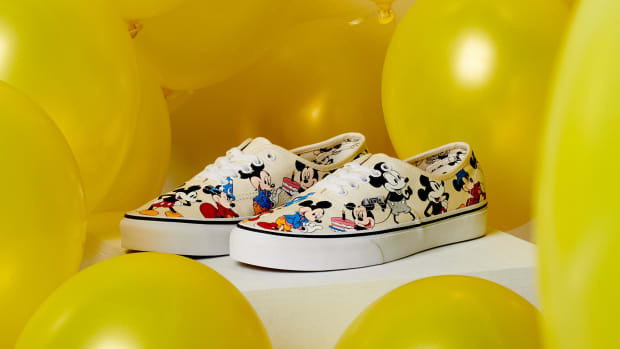 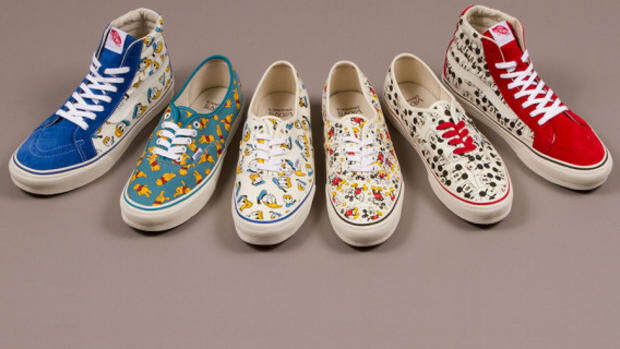 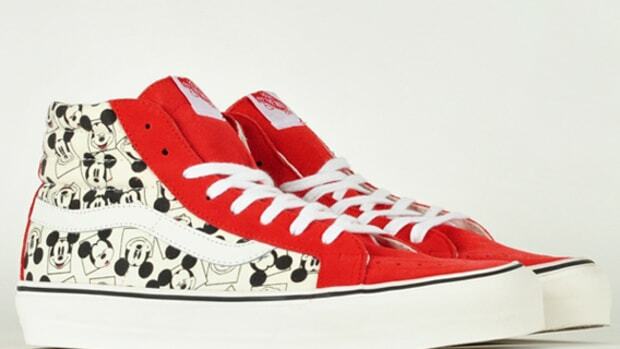 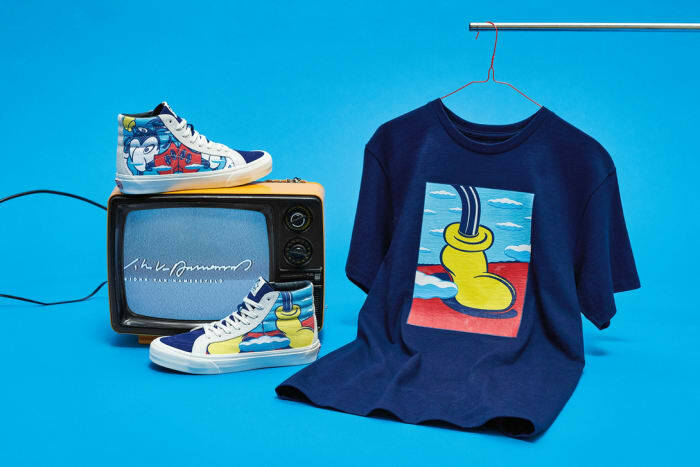 This season finds Vans Vault and Disney teaming up for a collection of apparel and footwear celebrating the 90th anniversary of a bona fide pop-culture icon, Mickey Mouse. 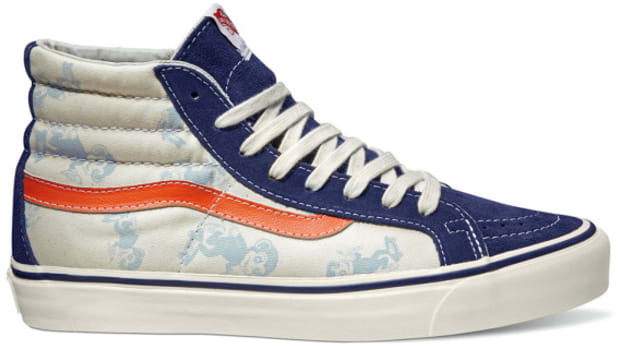 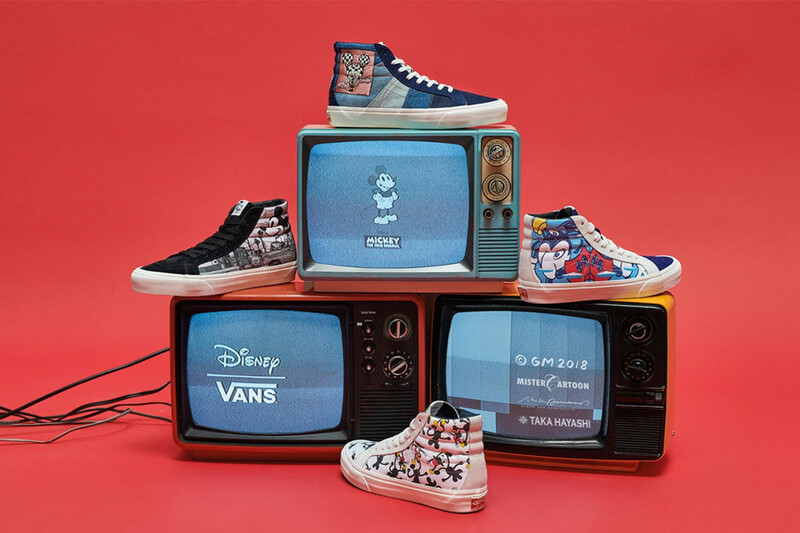 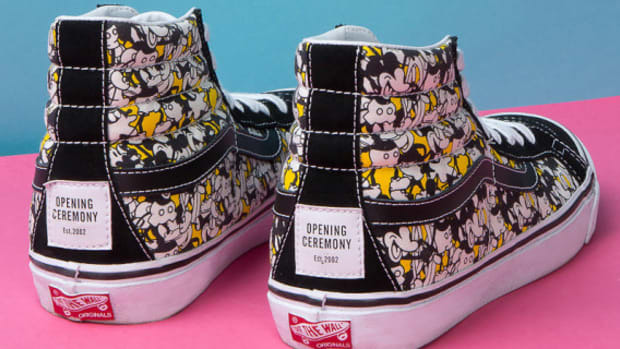 The assortment features a Sk8-Hi and matching tee, depicting Mickey as interpreted by four individual artists: John Van Hamersveld, Mister Cartoon, Geoff McFetridge and Taka Hayashi. 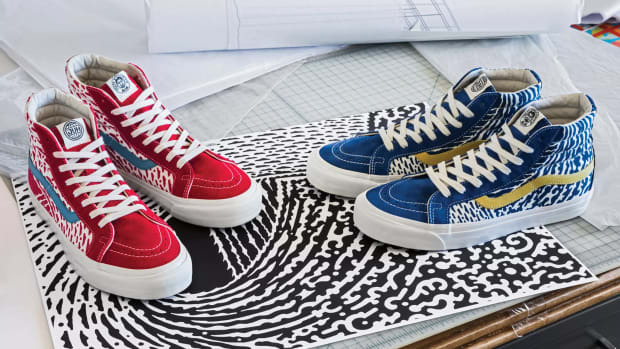 Check out the individual pieces below and expect the collaborative capsule to launch this Saturday, August 25th, at Vans Vault retailers.